If you wanted to buy a small car with Automatic transmission in India under the price band of Rs. 6 Lakhs sometime back, you hardly had two choices – Maruti A-Star Automatic and Hyundai i10 Automatic. For customers who want the comfort and convenience of Automatic cars in congested traffic environments, the choices are very limited in the small car segment. As you go up the price band, you will find plenty of options starting from Dzire Automatic, City, Rapid, Fiesta, Vento etc., but all these cars have higher initial cost. 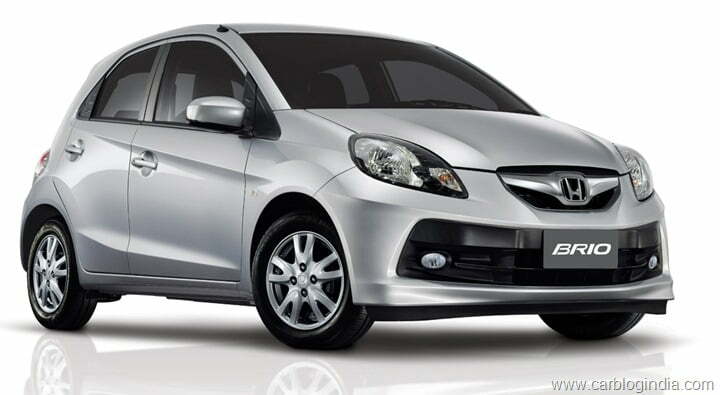 Since there were just two players in the small automatic cars segment and the demand is on a gradual rise, Honda SIEL India has launched their popular small car Honda Brio with a 5 Speed automatic transmission gearbox system in India on 18th October 2012. 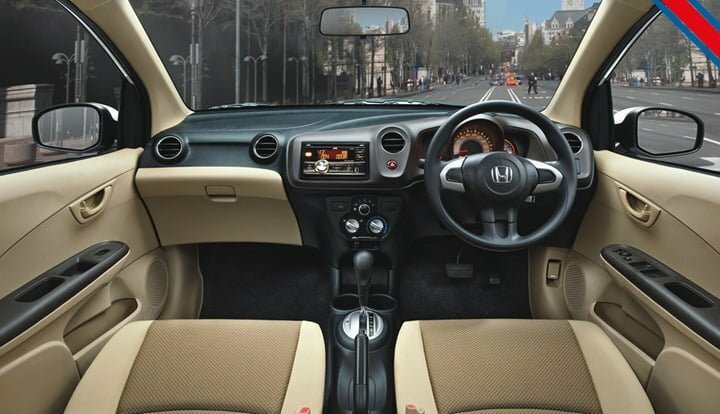 Honda Brio Automatic in India is priced at Rs. 5.75 Lakhs ex-showroom Delhi for the S(O) variant which is approximately Rs. 75,000 higher than the corresponding manual transmission variant. The prices of the automatic variants are at a premium of about Rs. 75,000 which seems quite reasonable for the comfort that it offers in congested city traffic condition. Apart from the above two new automatic models, there is an additional manual variant Honda Brio EX MT has been launched at Rs. 4.26 Lakhs which will be positioned below the base Brio E and mid Brio S.
It will use the same 1.2 litre iVTEC engine with 87 BHP of peak power and 109 Nm of torque as is used in the manual model. This engine is quite peppy and responsive and delivers a mileage of 18.3 KMPL as per ARAI for the manual model. With the Automatic gearbox, it delivers an ARAI certified mileage of 16.5 KMPL which seems quite good. In the real world situation, it should be able to deliver between 12 to 15 KMPL on city and highway mixed usage. Apart from the comforts of an automatic, Brio offers great mileage, good looks, great handling and premium looking interiors. So all in all, Honda Brio will be a killer package against the competitors (which you can count on fingers). The gear system has many modes including the P (park), R(Reverse), N(Neutral), D (Drive), D3, 2 and 1. The Brio automatic in India uses a 5 Speed conventional automatic transmission used in cars like Honda City but it has different gear ratios. The Driving mode D does shift between the 5 gears automatically while the D3, D2 and D1 are meant for the situations where you want to hold in first 3, first 2 or first gear respectively. For example, during an overtake maneuver you can shift to D3 which will keep the car until 3rd gear and it will quickly give you the needed push to overtake. For inclines or downward slopes where you want to go slow, you can use the D2 or D1 mode. Apart from the transmission, the Brio AT will features alloy wheels, fog lamps etc. as per the corresponding manual variants of the same trim level. The rev-happy 1.2 Litre iVTEC engine does a good job of keeping the car in power band and adds the comfort of an automatic to an already pleasing car. The Brio automatic is expected to be received well by buyers in metro cities where traffic congestions are a part of life. Tell us your views about the Brio Automatic by leaving the comments below. Stay tuned to Car Blog India for latest updates on new car launches.